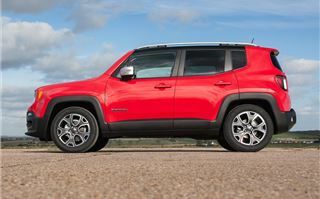 The self-proclaimed king of the off-roaders, Jeep, is launching the Renegade - its smallest SUV to date. If all goes to plan, the car will nudge itself in between the MINI Countryman and Skoda Yeti. But is there room for yet another player? Jeep has given the Renegade its own personality by giving us something that looks like a cross between and Tonka toy truck and a baby Cherokee (this is by no means a bad thing, by the way). 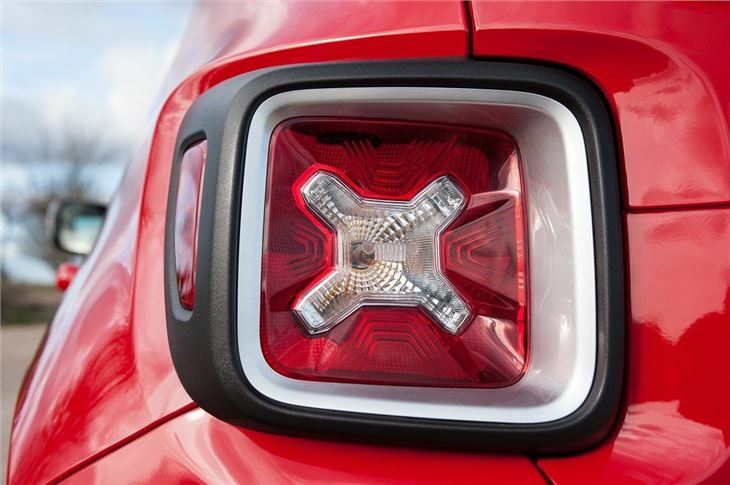 Round lamps, seven-slot grille and – er – somewhat non-aerodynamic styling make sure it stands out from its rivals. Rather than looking feminine of functional, it looks chunky and solid. It looks like a Jeep. Chunky and solid is a good way to describe the interior too. It’s palatable and stylish enough to make you feel like you’re in a modern car, but there are also some nice old-school touches to remind you of its heritage – like the grab handle on the dashboard in front of the passenger, or the mud splat on the rev counter where the redline would be, or the words ‘Since 1941’ imprinted in US Army-style font in the centre of the modern black plastic dashboard. Seeing those words above the central LCD screen is a bit weird, though. 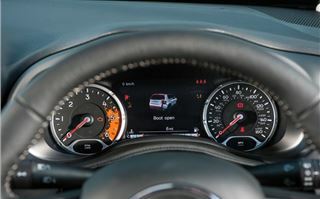 In fact, seeing a digital dash at all in a Jeep is a bit weird. I know, I know – they’ve moved on and got with the modern age. But I haven’t. For me, Jeeps have an Action Man-like quality – four chunky wheels, big petrol engine and a suspension that constantly threatens to snap your thumbs off while you’re driving across a rocky mountain road. If you’re really lucky, there’s a roof and a gun turret in the back, plus a winch up front. These must be the only options the Renegade is missing, though. Straight out of the box, the Renegade comes with pretty much everything you need. 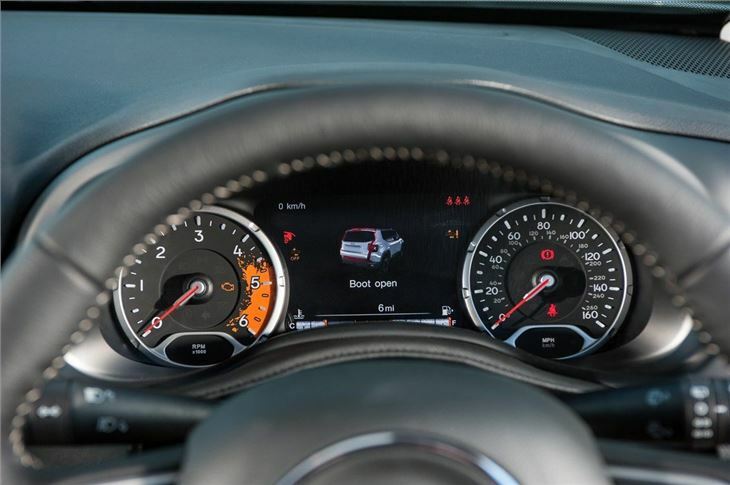 The entry-level Sport has electronic stability control and hill start assist, traction control and electronic roll mitigation. There curtain airbags front and rear, plus remote central locking and electric windows. You’ll also get air-con, stop-start technology and a five-inch touchscreen with Bluetooth. There’s even a sunroof. So, do all the gadgets and gizmos mean that it’s not a proper Jeep? Far from it. 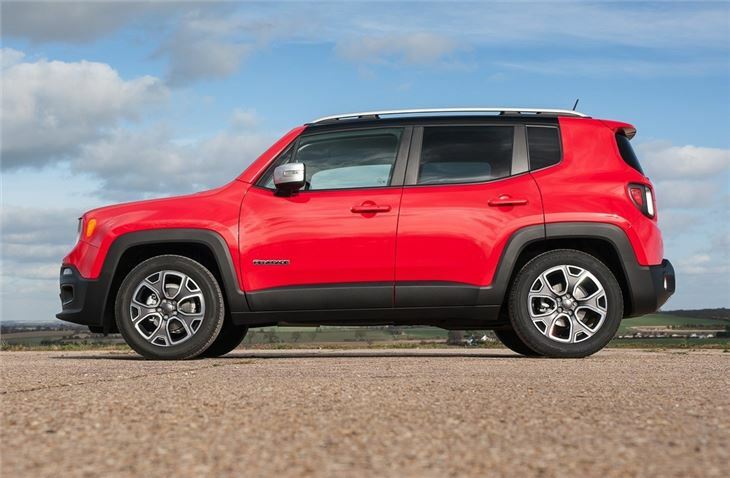 While there’s no doubt that majority of Renegades sold will be two-wheel drive, the four-wheel drive version proved just as capable as any other Jeep off-road. It’s a clever system as it’s ‘on demand’. That means most of the time power is being supplied to the front wheels, unless one of the wheels starts to slip and lose grip, in which case power is supplied (or reduced) accordingly. The benefit of such a part time system is reduced emissions and improved fuel economy. Back on the beaten path in our 1.6-litre 120PS diesel, the Renegade was well behaved. Sure there’s wind noise as you might expect from such a high vehicle with angular styling, but it’s not too bad. And, unlike its bigger, older brother, driving to the shops won’t be a mini-work out. There’s plenty of assistance in the electric power steering although it’s not the most responsive of systems and there’s a definite dead spot when the wheel is straight. Still, it makes manoeuvring it around town and at parking speeds easy. If you want reversing sensors, though, you’ll need to bypass the entry-level Sport as they’re not even an option on this trim level. Back in the good ol’ days, diesel Jeeps weren’t even an option. You had a petrol powerplant under the bonnet no matter what, which makes seeing anything other than single-figure fuel consumption a novelty. 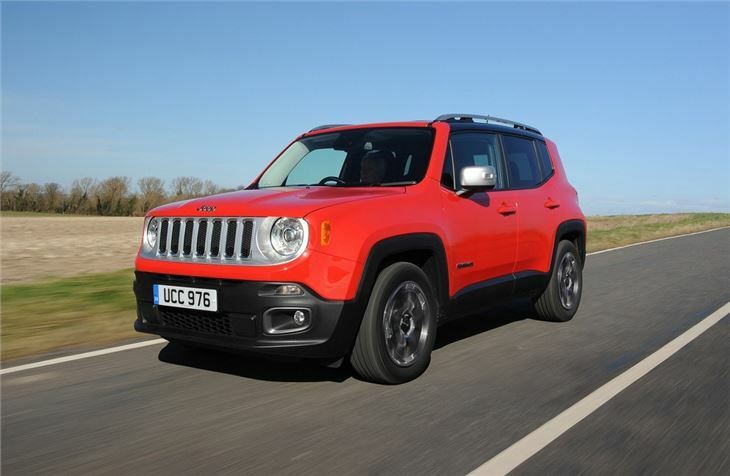 Buy a Renegade, however, and you have a choice of six petrol and diesel engines. Petrol units include an entry-level 110PS 1.6-litre normally aspirated unit while diesel offerings include a 120PS 1.6-litre turbo diesel, with the 2.0-litre turbodiesel available in either 140PS and 170PS. All perform well, but it’s the 120PS 1.6-litre diesel we’re driving that is our favourite. With 61.4mpg and CO2 emissions of 120g/km, you might be forgiven for thinking that its frugal figures could lead to an engine that leaves much to be desired – but you’d be wrong. Whether its pulling away in traffic, overtaking or tackling hills, this diesel has plenty of punch, thanks to its 320Nm of torque available from 1750rpm and six gears to enjoy the sweet spot in. But with such a heavy emphasis placed on its hugely capable off-road ability, on-road performance is somewhat compromised. 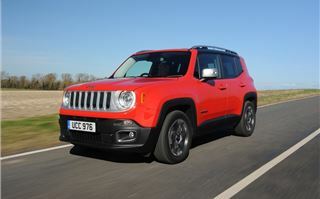 As a family car, the Renegade looks to be a solid proposition. There’s plenty of space both up front and in the rear. Even with a six-footer like me in the driver’s seat, passengers in the rear won’t feel short of legroom. 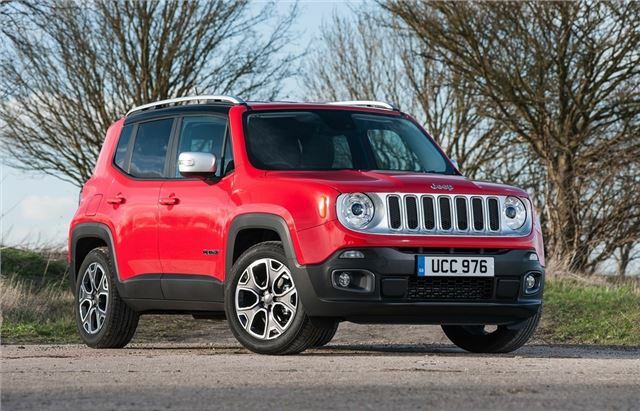 They won’t feel cramped, either, as the Renegade’s boxy design means that there’s also plenty of headroom. Wide-opening doors mean getting in and out is easy – perfect if you’ve got to get a childseat in the back (and you’ve managed to find a parent and toddler space, of course). While the boot is quite spacious and should happily handle the frame from your travel system – there’s not much of a lip, either, so putting bulky/heavy stuff in the boot is straightforward and simple. 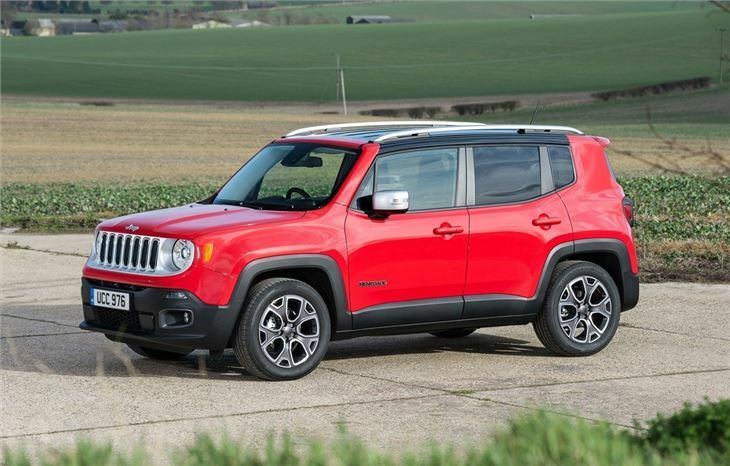 So some of good points for the Renegade, but what about price? Petrols start at £16,995 while the entry-level diesel is £18,695. That compares to £16,915 for a petrol Yeti or £18,405 for a diesel. 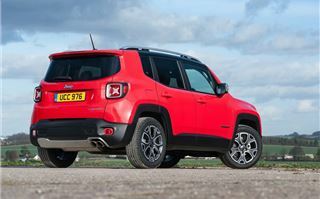 A rival like the Citroen C4 Cactus, however, is much cheaper - £12,990 for a petrol or £15,490 for the diesel. Given the spec levels and the off-road ability, we still reckon the Jeep is decent value for money. The Renegade adds up to a car that Jeep hopes will attract new customers to the Jeep brand – but a car that is still a highly competent off roader, and one that hasn’t lost any of its – er – Jeepness. Even if it is built in Italy alongside the Fiat 500X.